White Cliffs Counselling - coaching and counselling services for private individuals and organisations. 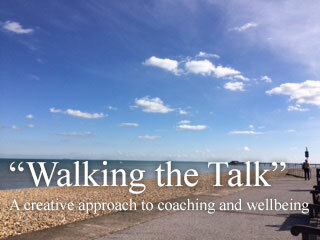 White Cliffs Counselling is based in Deal, on the south coast of Kent, provides counselling, coaching and creativity consultancy to private individuals and organisations. Counselling is confidentially offered to private clients using a person-centred approach. A space is created where the client feels supported and helped towards renewal. 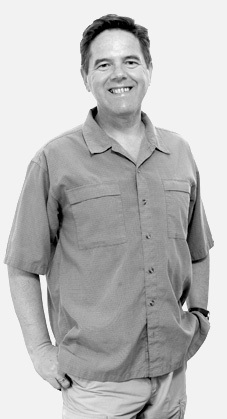 Dr Brendon Harvey is a fully qualified and highly experienced Registered Member of the British Association of Counselling and Psychotherapy (BACP). Click on 'Counselling' in the 'Services' link above for information on how we can help you with a range of issues. Coaching is provided for both private and corporate clients, focusing on personal and professional development. An innovative approach is offered, 'Walking the Talk', which takes advantage of the inspiring coastal and rural landscape of the practice location. Click on the 'Coaching' link for more information on this creative approach for clients, especially those working within a partnership or multiagency arrangement. Developing and nurturing creative approaches to change is at the heart of how we work with clients. See the link in 'News' below to our book, Creative Teaching Approaches in the Lifelong Learning Sector, published by the Open University Press (OUP). Private individuals, schools and other organisations, in the UK and the Far East, have benefited from this creative approach to our work. Coaching for working partnerships and individuals. Using �Walking the Talk� or at a location that fits your needs.� Helping you achieve your desired goals. Providing counselling for a wide range of work and life issues. A professional and confidential service provided by a qualified and experienced counsellor. 'I enjoyed working with Brendon and strongly feel that he is one of the most committed, knowledgeable and excellent coaches. He provided lots of �practical tips/examples that you can relate to your work, as well as working with people at their level'. Public sector professional. Congratulations to Action Minds at All Saints York, Winner of the Spirit of Youth Awards 2016, sponsored by Nestle. Big thanks to Jo at the Wilderness Oak charity for continuing to support our work with this inspiring group!